We all have been there your buddy breaks up with his girl. Being a good friend, you listen to him as he tells you that he never loved her, and she treated him bad. He drones on and on. Greg Jennings is our friend Packer nation and the Packer organization is the girl. 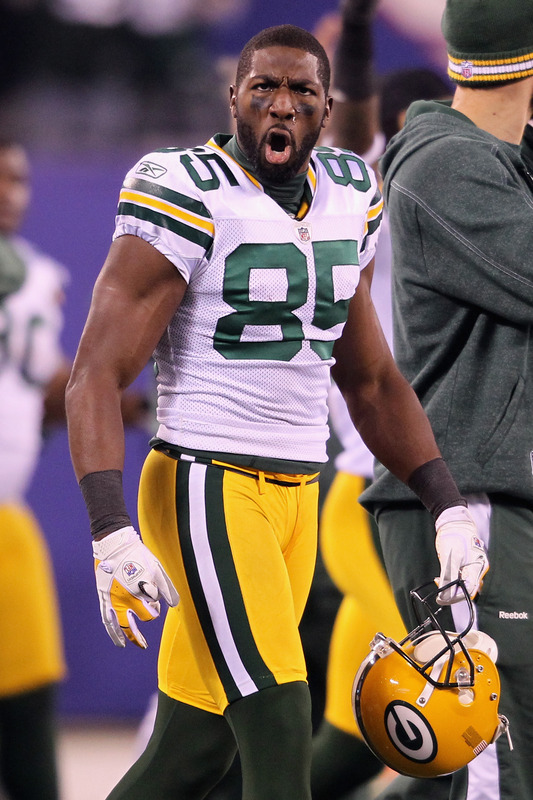 What do we say to Greg Jennings? We tell Greg that the Packers offered him an 11 million a year before the start of the season. He turned it down thinking every team would want him. We let him know that wasn’t a good idea. Greg didn’t listen to us and left us for the girl next door. Then when your buddy finds another girl, he keeps telling you how much better she is than his former girlfriend. Greg took some shots at number 12, good friend of Packer nation. Calling him out for not being part of the team and feeling he’s perfect number 12. Number 12 is not a leader for he puts himself above his teammates. If that is true then why do other players praise number 12 for helping them out. Then he went on to say that Christian Ponder is a good quarter back and didn’t have the weapons he needs to take it to the next level. By the way, Ponder has the NFL MVP and best running back in the game, and a decent tight end in Kyle Rudolph. Then your buddy goes on to tell you about the bad times. The latest Greg Jennings talked about was being brainwashed by Green Bay. That got my attention. Usually, brainwashing is a bad thing. Greg said, “the Packers always tell you they are the best, the best, the best. Then when I came here, I met good people.” Wait, you’re calling the Packers the best? Or are you saying the Packers should say they are not as good as everyone else in the NFC North. I am not sure if Greg really understands what brainwashing is. Greg Jennings it’s time to move on. By the way, I do like what Mike McCarthy said, “once you put on the purple it changes you.” It definitely does. Look what it did to Favre. Okay, we didn’t have a great conversation with him either. Greg we loved when you were a Packer, but you were the one who broke up with us. The Packers called and wish you all the best, hope we can still be friends. So the Packers should tell their players that “we are losers” and install that work ethic? By telling the Players we are ‘Winners” and installing a “Winning” attitude, has been a cornerstone of this organization since Vince Lombardi held the reigns. Green Bay produces Winners because of a “Winning Attitude”! Sounds like he has some regrets, as he keeps comparing his new team to his old one. We will never forget your Craig! Say ‘Hi” to your sister for us! Minnesota – Land of 10,000 Lakes, and no Super Bowl Rings! Land of 10,000 lakes , Ha Wisconsin has more lakes than Minnisota also.